The Teammachine has won them all: the Tour de France, the Olympics, World Championships, and Classics. 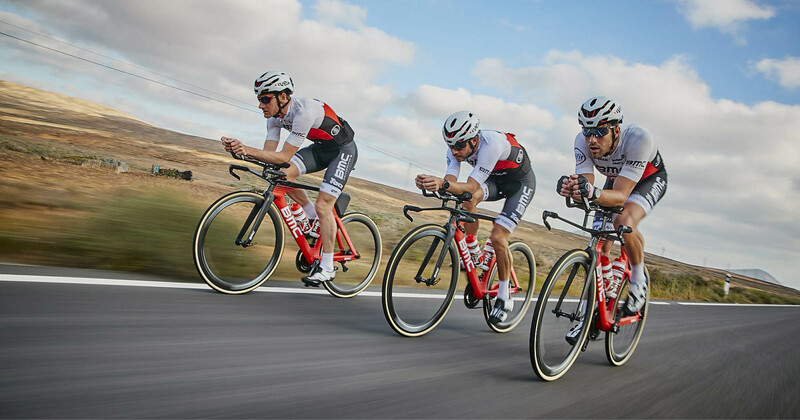 Stiff, lightweight and compliant, the Teammachine is the pinnacle of Swiss cycling performance. 01 Premium Carbon, ACE Technology, integrated aerodynamic cable routing, and our D-Shaped seatpost: the neverending pursuit of perfection has led to hundreds of thousands of design iterations to bring you the absolute best in the Teammachine category. Timeless iconic design, supreme integration and a lightweight build make for the ultimate race bike at any level. Sharing all of the valued design features of the SLR01, the Teammachine SLR02 has been engineered with our lightweight 02 Carbon. ACE technology, race-focused compliance tuning, and a D-shaped carbon seatpost make the SLR02 the perfect choice for racing or training. Refined using our ACE technology, the Teammachine SLR03's carbon frame is compliant at specific geometric points, yet stiff where necessary. If you're looking to for a capable race-ready road bike, then look no further.